Besides the Fine Line between Saturday Night and Sunday Morning, there is a Fine Line between Fast Food and Fast-Casular-Counter Service Food. While this line very much exists, many Fast Food locations like to try to cross it. If I want a gourmet burger, I am going to Five Guys and totally skipping Wendy’s – no doubt in my mind. And, if I want some fancy tex-mex cuisine, I am going to Chipotle and skipping right over Taco Bell. Yet, a few months back, Taco Bell decided to cross this Fine Line and introduce the Cantina Menu. While I have not yet fully tried an item off the Cantina Menu (I did have a few bites…but, not one on my own), the item for this review exists purely because of the Cantina Menu. The Fine Line has been crossed and, sorry to say, Taco Bell should shimmy it’s way back over and stick with the Fast Food. Usually, when I eat Taco Bell, I like to really chow down. I like to take my time and enjoy every single item I get. There was a time when I would eat Taco Bell at least once a month. Now, it’s more like 2 or 3 times a year. On this visit to Taco Bell, it was late in the afternoon and we really just needed something quick to hold us over until dinner. I saw the Black Bean Burrito listed on the regular burrito menu yet, featuring items only available since the introduction of the Cantina Menu. I decided to go for this so I could review it and see about this Fine Line being crossed. I received my Black Bean Burrito and opened it up. From the outside, it looked like a typical under-sized Taco Bell Burrito. After allowing it to cool for a few moments, I began to eat. The tortilla was the usual TB tortilla and flavorful in a very non-authentic way. As for the fillings, this burrito featured white rice, black beans, shredded cheese and pico de gallo. As I began to eat, I found myself asking Where’s the Flavor? I found the consistency of the burrito to also be lacking. 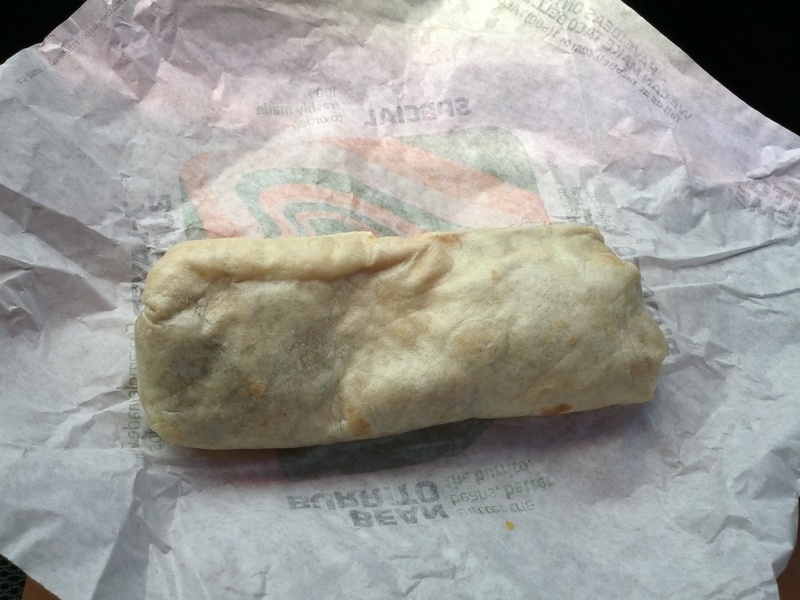 Now, I have always enjoyed a Taco Bell Bean Burrito but, this Black Bean Burrito was not faring as well. As I continued to eat the burrito, I found the flavors were not getting any better. The rice had essentially no flavor whatsoever and had a very mushy consistency. While the black beans were only seen here and there, they did have a bit of flavor to them but, the soft & mushy consistency, cancelled out the little flavor. I could see cheese within the burrito but, there was really no flavor at all. And, the pico that is available in the Fresco items is about 100x better than what was within this burrito. This burrito had small, mushy pieces of salty tomatoes. Blah. This burrito was not a winner in the flavor department at all. While this Black Bean Burrito is not officially on the Cantina Menu, it is available due to the Cantina Menu. 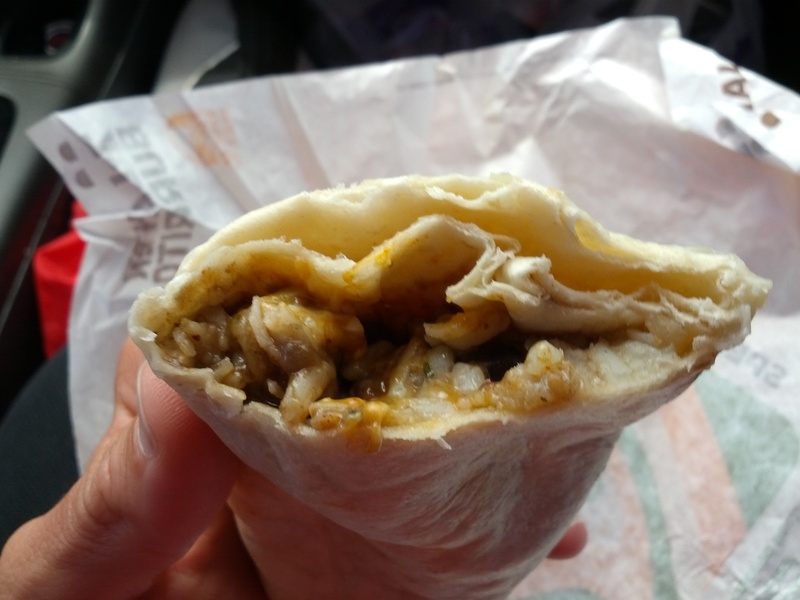 The addition of black beans & rice to the Taco Bell menu should be a welcome sight but, I’m just not seeing it. Even though this burrito does not carry the price tag of a Cantina Item, it also does not carry any flavor. I would much rather stick with a Bean Burrito than ever order this item again. I am curious to see if this item will stick it out on the normal menu or, if it will simply fade away. 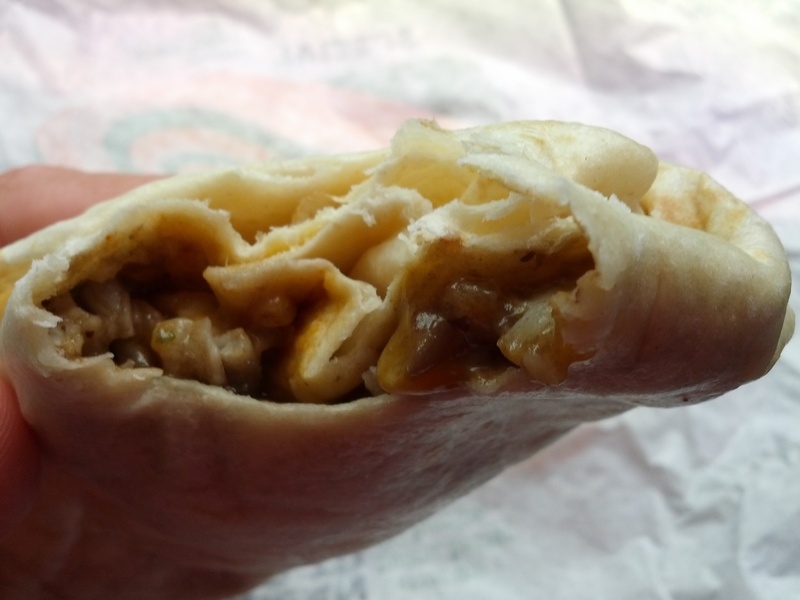 My recommendation to Taco Bell – stick with what you know. What you know is Fast Food. There is a Fine Line and I’m sorry to say Taco Bell, but you need to move back over.